Hey, it's my birthday! I'm busy living it up, so here's a brief rundown of some of my memorable birthday celebrations over the years. Turning 3 (left) and 4 (middle and right), both family gatherings at Major Magics. 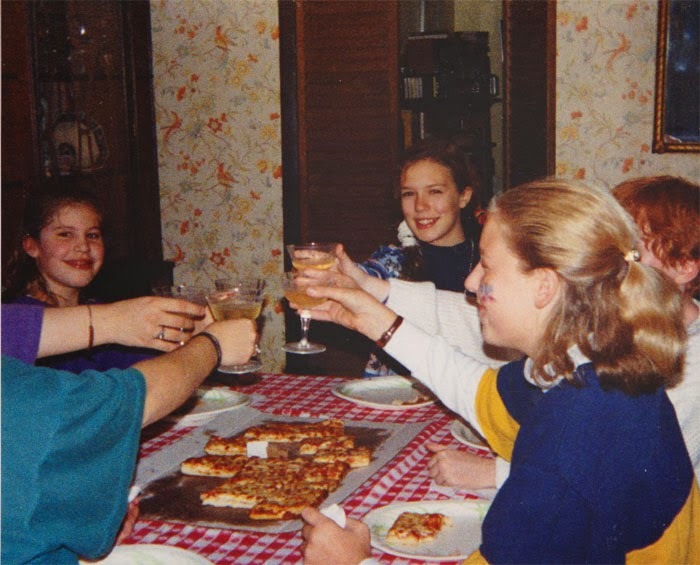 12th birthday: toasting ginger ale and eating pizza with galpals while wearing a side ponytail. 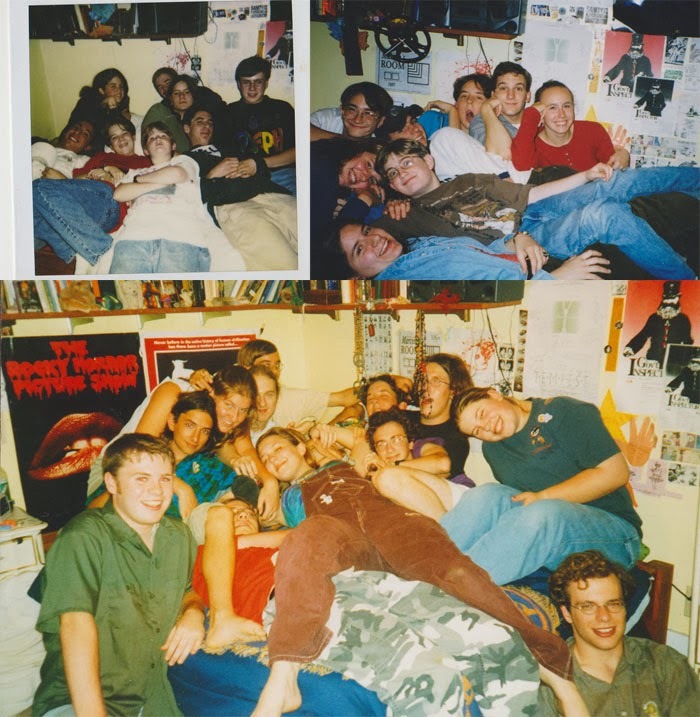 Clockwise from top, my 15th, 16th, and 17th birthday parties all heavily involved piling friends on my bed. I guess by the time I turned 17 I got someone else to take the picture so I could rudely sprawl over everybody. 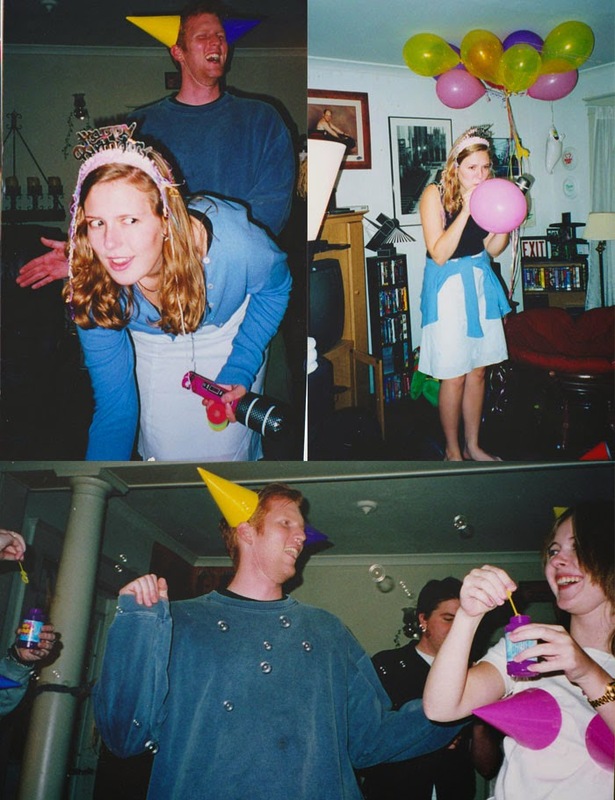 For my 19th birthday, I had a little houseparty with some awesome college friends, including the affable giant ginger Brian Scruggs, who dominates photos both by clever mischief making and sheer size. Out at dinner for my 23rd, pictured here with none other than my friend, sometime housemate and recent wedding photographer Nicole Ladonne! 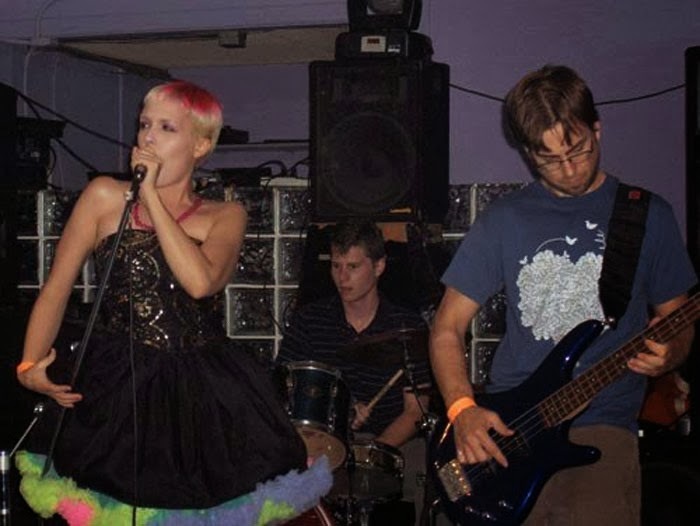 Playing a show for my 26th with my old pop punk band, Bulletproof. Singing some triumphant karoke with Margaret at my 28th. Delightedly failing to knock down any pins at an old school bowling party for my 29th. MC threw a surprise dinner party for me at our favorite restaurant for my 30th -- and THEN we had a little girls' party over at my sis in laws, where we decorated crowns and I got showered in kisses. It was pretty amazing. We've been so damn busy, I didn't even realize we'd planned a sectional band practice for tonight. Luckily, the boys insisted we skip it just as I got a press invite to screen Don Jon! So MC and I are off to the movies, complete with an employer provided mileage reimbursement. I'll let you know what other shenanigans we get into. Oh man. This makes me want to dig a LOT of old photos out. Overalls, man; WHY were we all wearing overalls? It's a mystery for the ages. Happy birthday, lady! You've already rocked it out, so just go rock some more. And I LOVE LOVE LOVE the old photos, so much awesomeness! Love these pics ~ you are so cute with long hair! Wow, you look so different with long hair. Also, from what I can see of your mom in the first set of photos, you take after your mom quite a bit. 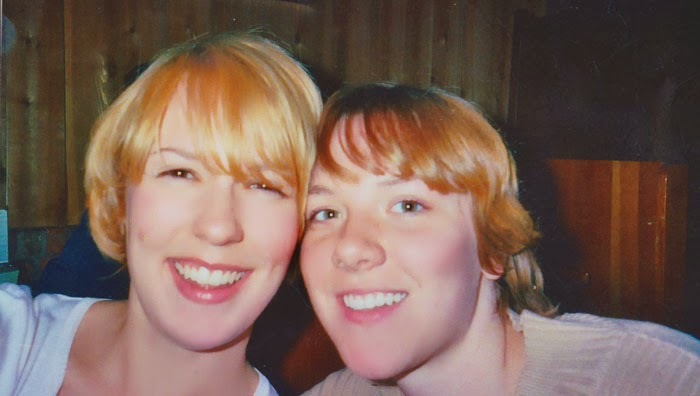 I always forget that you used to have long hair! You are one of the few people who looks good both ways.